Give your bathroom decor a sophisticated touch with the gracefully curved lines of the Fleurco Titan Cronos Wall Mount Hinge Curved Tub Shield. 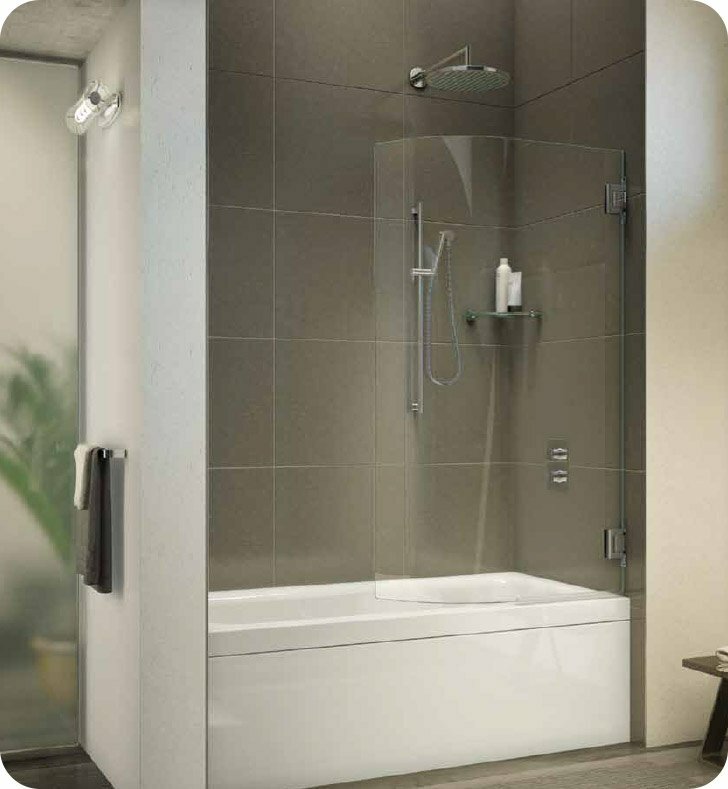 Its frameless minimalist profile features one glass door panel with 80-degree outward and inward opening facility. 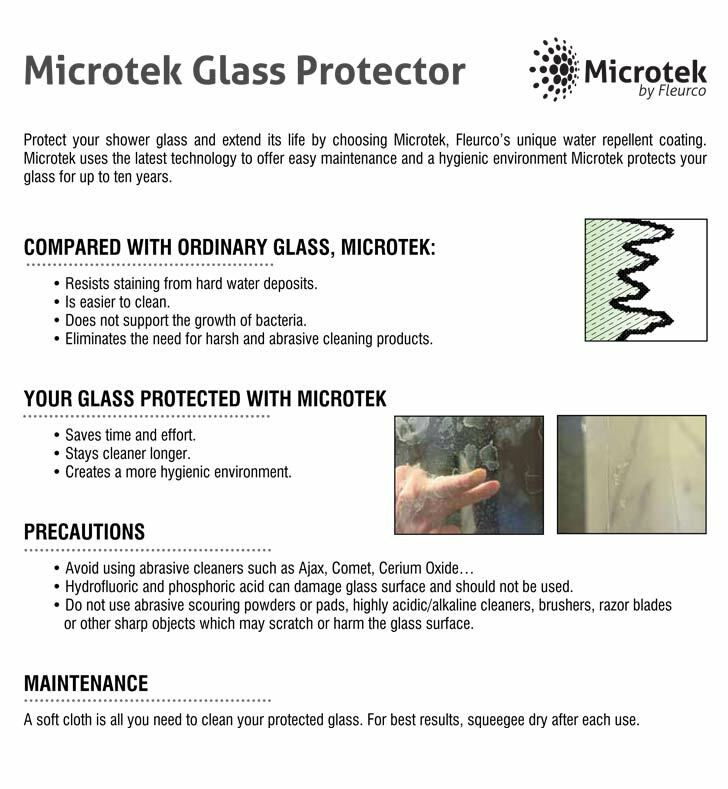 Premium 1/2 inch clear tempered glass surface is treated with exclusive Microtek protective coating for superior protection and easy maintenance. All non-glass components are covered in a finish of your choice – brushed stainless steel or ultra chrome. Its cleverly designed features like self-closing door mechanism with adjustable speed, innovative header system for ultimate support and style, intelligent hinge system and aluminum adjustable wall jamb provide easy installation and make this tub shield a handy, long-lasting device. You can select the finest shower door handle to match your bathroom décor and to create an eye-catching accent. Towel bar option is also available. W 35" x H 66 1/4"